The new year is here and it's time to get back into the groove of life after the holidays. Which is, of course, easier said than done. After weeks of parties and rich meals and dessert. I want to do better without the sacrifice. Compounded with the fact that I plan most dinners each week based on my cravings, doesn't help much. And some days I'm cravingless, go figure, but we still have to eat. So I scramble to make something that will satisfy my picky eaters, and won't keep me in the kitchen too long. If I'm being totally honest, most of my go to meals include rice, which cooks in about 20 minutes, my ideal meal prep time. This first recipe is a family favorite, and in a crazy new year's twist it's good for you. First, raid the fridge for whatever veggies you have. Add to pan with oil and lightly salt. My veggies of choice were yellow pepper, zucchini, Brussel sprouts, green beans, mushrooms, and onions. Yes random I know, but better than I expected. First, sautéed onions, peppers, and zucchini until almost soft, then add cooked (parboiled for efficiency) brussel sprouts and green beans. Finally add mushrooms and tofu, cook on medium heat for 5 mins. Continuously stirring so you don't burn veggies, they are sensitive. Once everything is cooked mix in chili oil, mushroom sauce and sweet chili sauce. You can make variations of the sauce based on your preference. If you preference a sweeter sauce add more sweet chili sauce, more heat chili oil or a more salty savory mushroom sauce (or soy sauce). Serve hot over rice. Mix flour, baking powder, and salt. Cut in shortening and add water. Mix until fully incorporated. Knead for 2 mins and roll in 12 balls. Warm a pan (prefereably cast iron) on high heat. Flour a clean surface and roll into a round pancake shape. Make sure dough is thin but thick enough to handle. 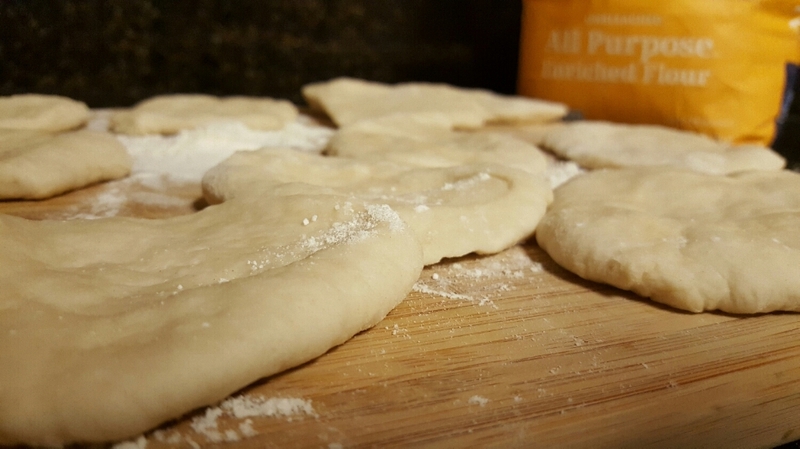 Place dough in hot dry pan. No need for any oil or butter. Dough should start to puff up after 1 to 2 mins, flip over once this happens and cook another 2 mins on opposite side. Do not cook on one side longer than 2 mins. Please finish tortillas in between a towel to keep them warm and keep them from drying out. Sauté red and yellow peppers and onion on low heat. Add mushroom when onions are almost transparent, sauté until soft. Feel free to add any additional veggies or meats now. 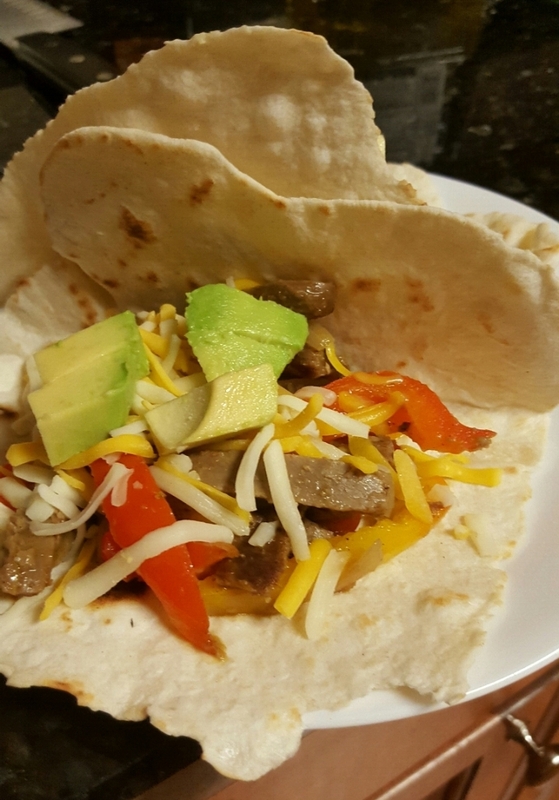 Serve warm tortillas with all the fixings: cheese, lettuce, Pico de Gallo, avocado. If I'm lucky I'll realize before I'm down the wire that we need dinner. And if I have 2 hours, I'll make lentils. I don't soak my lentils overnight, I found that it doesn't reduce cooking time and usually I forget to soak them, so I just cook them longer. The great thing about making lentils is dinner for days. You'll thank yourself, the extra time to make beans means less time in the kitchen during the week. Some are a few things to know about lentils. First, yellow lentils need to cook longer than brown lentils. 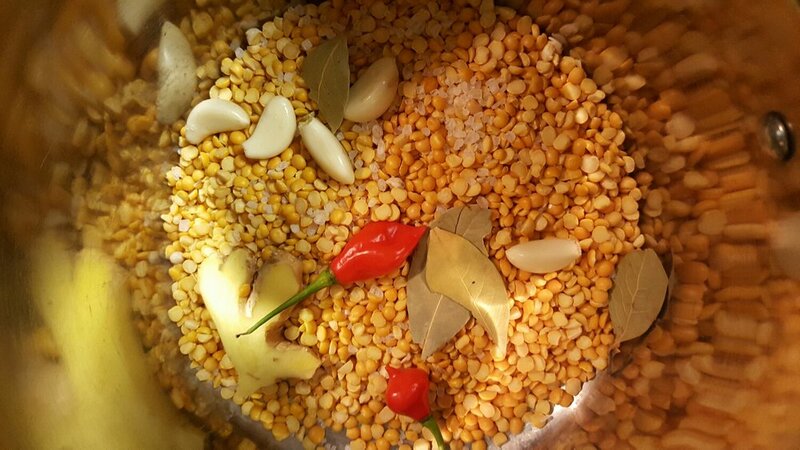 Yellow lentils, in my opinion, are heartier than brown lentils, so I flavor then more than brown lentils. Both lentils have an abundance of nutritional value. Serve over rice.